Okay Okay, so its the middle of July and I’m posting about fall outfits. Am I crazy? 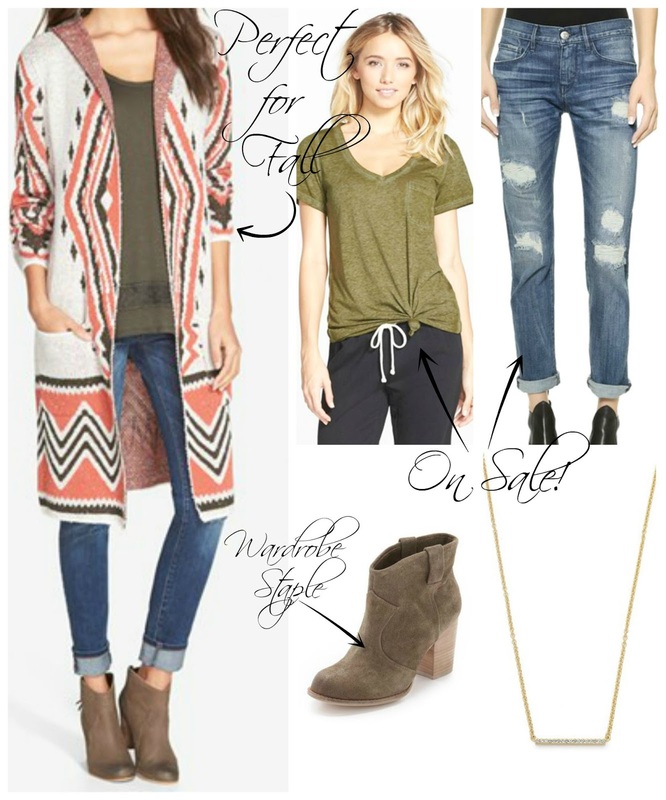 Maybe a little… but the Nordstrom sale has me craving fall like never before! So, because I’m sure I’m not the only one looking for fall items; here are a few fall outfits I put together for your viewing pleasure. Okay, but really I saw a couple of these outfits on the website and had major hearts eyes. So, now you can have them too! The first outfit though- I’m obsessed. Anyone else having a hard time buying summer clothes, when fall seems like it’s just around the corner? July is almost over, then August almost always flies by for me. Then September hits and we pretty much celebrate all month because its Beckham’s Birthday, then BOOM it’s Halloween!! As much as I love summer, this 93 degree weather with 30% humidity has got to stop! Im ready for some cooler air. Sad but true. Fall will be here before we know it. Love the aztec pattern coat. It looks so cozy. Great find. Yassss, I stopped buying summer clothes a couple weeks ago. I pretty much live for fall so I'm beyond excited. The #Nsale is literally the best time of year, haha! Love your picks here! Great preview of fall looks. Loving those booties and the leather jackets! The sales are killing me! I seriously just keep going back for more! Haha Its so true!!! Thank you! I love the faux leather jacket! The crazy thing is fall will be here before we know it!!! Its so true! Thank you! I love all these cute looks for fall sweetie! Great fall pieces! That mule is gorgeous!